As well as two new Nextone combos, Boss has announced the Waza Tube Amp Expander, a “first-of-its-kind command centre” for tube amps. 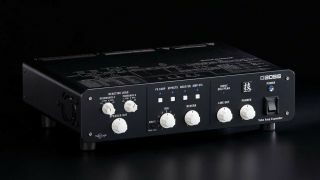 The Waza Tube Amp Expander combines a host of functionality in one unit, including a variable reactive load, active analog power stage, mic’d cab sim, IR loader and USB recording interface. There are also compressor, delay and reverb effects onboard, with the option of deep editing via software, plus a wide range of connections and the ability to store 10 onboard setups. 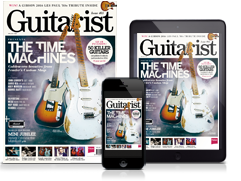 Of particular note is the reactive load section, which allows players to adjust the impedance interaction of the amp’s output transformer, with 16 settings available. Elsewhere, four EQs provide tone shaping at multiple points in the signal chain, while an external series/parallel loop can integrate existing effects. All those outputs mean guitarists can send their signal to a variety of destinations: parallel speaker outputs can drive up to two stage cabs; there are mono and stereo line outputs including cab emulation or IRs; plus a USB output for recording direct to DAWs, and a headphone output. This is an intriguing concept from Boss that brings to mind certain aspects of Universal Audio’s OX Amp Top Box. It’s not out until spring 2019, so there’s no price yet, but you can visit Boss for more info.